The Lancaster City Council met for its Regular Meeting on Wednesday, September 13, 2017, at 7:00 p.m. in the City Hall Meeting Room. The following members were present: Olson; Sebenaler, Bowlin and Hilman and Nordin. Scott Billings, Postmaster for USPS, met with the council to discuss the placement and types of mailboxes within the city limits of Lancaster. Billings requests that the council consider an ordinance or policy to regulate placement, etc. Council will look into this. 7:15PM- Mayor Olson opened the hearing regarding the abandonment of the alley’s in Blocks 1 through 4 in the Lancaster Addition to Lancaster. Public present, Shane Martin and Greg Peterson. Martin discussed his parcel of land in the Lancaster Addition and also stated that he is in favor the abandonment. Peterson also stated he is in favor of the abandonment. Mayor Olson closed the meeting. Bowlin moved to abandon the alleys in Block 1 through 4 in the Lancaster Addition to Lancaster, second by Sebenaler. Voting in favor Bowlin, Sebenaler, Nordin and Olson. Abstain Hilman. Zondagh met with the council and asked for approval to move and replace the water hydrant behind the restaurant estimate is $5500.00 for parts and excavation. Hilman moved to move and replace the water hydrant, second by Bowlin and carried. Zondagh asked for clarification on the use of his vacation hours. He is planning to take vacation starting December 29, 2017 and through most of January 2018. The hours on December 31 would be in excess of the maximum but would be well below the maximum when he would return to work. Use of the hours would allow him not to ask for pay in lieu of vacation. Sebenaler moved that vacations started prior to yearend would allow the use of any vacation hours available and when work resumes in following year the write down of vacation hours would occur then if vacation hours are still in excess of 160 hours, second by Hilman and carried. Zondagh asked to purchase new tires from Bernstrom Oil Company for the payloader the estimated amount not to exceed $6,500.00. Sebenaler moved to purchase the tires, second by Nordin and carried. Zondagh reported that extra riprap needs to be installed in the lagoon due to erosion. Anderson Brothers estimated the cost to be $3,800.00. Hilman moved to hire Anderson Brothers, second by Sebenaler and carried. Council discussed the quote of $4800.00 from MP Carpentry to pour concrete in payloader bay and cut out 41’ curb and install ramp. Other quotes were requested but no others were received. Hilman moved to accept the MP Carpentry quote, second by Nordin and carried. Sebenaler moved to approve the Council minutes of the August 9, 2017 regular meeting second by Hilman and carried. A copy of the Minutes will be posted at the Lancaster City Hall and U.S. Post Office and available upon request to the clerk. The council reviewed the September 2017 bills presented this night; any other bills that have been paid prior to this meeting to avoid late payments, receive discounts & meet payroll and all payroll expenses as approved in the 2017 Rates Fees & Appointments Schedule. Bowlin moved to approve the bills, second by Sebenaler and carried unanimously. An abstract of bills will be posted with the minutes and are available upon request to the clerk. Anderson Sanitation presented a list of delinquent garbage bills for the council’s approval to be placed on the tax rolls of the effected properties. Bowlin moved to accept the list as presented and place the delinquent bills on the property tax rolls, second by Sebenaler and carried. Mayor set the third quarter inventory for October 1st 2017 at 5:00PM. Kathy Hunter has informed the council that she will be retiring from taking care of the Downtown Park and downtown flowers. The council wishes to thank Kathy for her years of service to the City. Fire Department Ranger was damaged at a fire, insurance adjuster has approved repair not replacement of the Ranger with a $250.00 deductible. Fire Chief has received a quote from AgriSports, Inc. of $3,546.60. Sebenaler moved to have AgriSports, second by Nordin and carried. Council discussed the 2018 budget, the proposed overall general tax levy is $98,000.00, an increase of $1,000.00 from the 2017 levy. Bowlin moved to set the final General Tax Levy at $98,000.00, second by Hilman and carried. The council discussed information from the League of MN Cities regarding old ordinances that the city should not repeal in the process of adopting the Livable City Code. Council also reviewed Council reviewed the August 2017 City and Liquor Store financial information. Liquor Store manager reports that the Auto Fry is in need of extensive repairs. The parts are estimated to cost $2,621.00 not including labor which is an undetermined amount. Cost of a new autofry are $8,237.73 from Culinex and $ 7,350.00 from MTI Products. Sebenaler moved to purchase a new autofry from MTI Products, second by Hilman and carried. 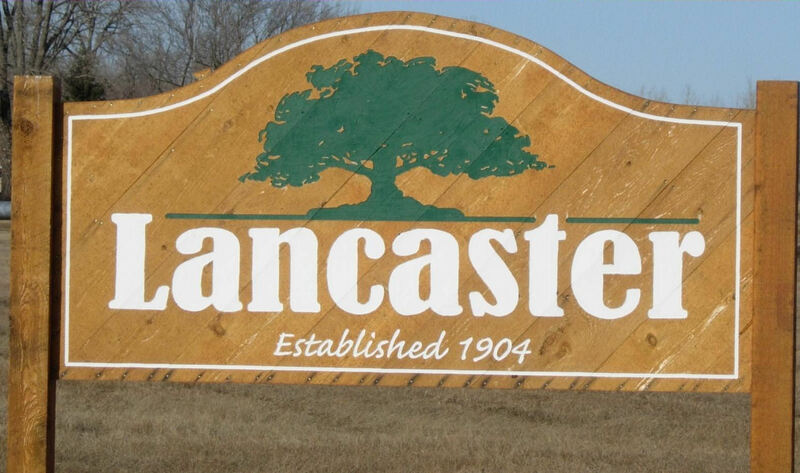 Fire Chief and other Firemen met with the council to discuss the option to buy the Lanvest (Podco) building East of the fire hall for $30,000.00. Council discussed the various pluses and minuses of this option and also that the city has an offer into the Barbara Hannson Estate to purchase the property just to the west of the fire hall. Council asked the Fire Chief to get an estimate for tuck pointing the Lanvest property. An estimate of $1,325.00 was received from State Side Electric LLC for installation of 4 new LED lights on the water tower. Hilman moved to hire State Side Electric, second by Nordin and carried.